Love it or hate it, Activision’s Call of Duty franchise continues to be a sales juggernaut. But even series skeptics have historically been drawn to the Zombies mode, which often feature surprising narratives and compelling horde-based co-op. Now, this October, fans will have even more to sink their teeth into when Dark Horse releases a six-issue comic series adapting the hit series. Call of Duty: Zombies will continue the story of The Tranzit Crew, who last showed up in Black Ops II. The motley crew of survivors is enlisted by a shady doctor in pursuit of a mysterious artifact called “The Kronorium.” But a simple treasure hunt this isn’t. Along the way, the Crew will have to fight for their life in a futuristic dystopia against — you guessed it — hordes of zombies. 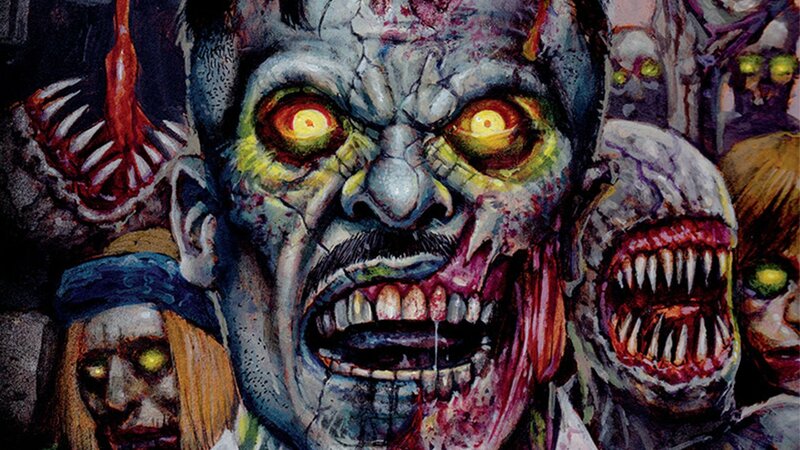 Dark Horse has assembled an all-star lineup of writers and artists for Zombies. Harvey Award-nominated Justin Jordan, of Green Lanterns: New Guardians, will be handling writing duties, while Jonathan Wayshak will do the art. Jason Blundell and Craig Houston, the two main players behind the writing at Treyarch, will be covering the story to ensure it ties into the larger Call of Duty: Zombies canon. The first issue of this miniseries will be hitting stands on October 19, which coincides nicely with the November 4 release date for Call of Duty: Infinite Warfare. It’s available for preorder now, and Blundell will be holding a panel at this month’s San Diego Comic Con to reveal additional details and art from the series. As a long time Call of Duty player, it will be interesting to see how the Zombies lore translates to the world of comics. Previous attempts at adapting the franchise to the medium have been mixed, but the talent behind this new endeavor gives me confidence that it will be a worthwhile project.